As a group exercise instructor, it’s important to know who you can go to for professional services to advance your business. At EMD UK, we put our trust in the following suppliers to do the best job for you. Sound Dynamics are the go-to company for instructor audio essentials. What these guys don’t know about head-mics, portable stereos and instructor tech isn’t worth knowing. They’re friendly team will give you the best advice and match products to your class spec so you’re safe in the knowledge you’ll never be over sold. Check them out now! Amazing Jane takes active wear to the next level: Amazing Jane creates a look to empower women and make them feel great. 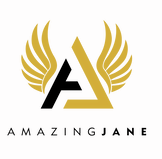 Amazing Jane also hold offer Plain Jane; a bespoke clothing provider to the fitness and leisure industry allowing them to offer branded clothing for their customers. Take your workouts to the world! 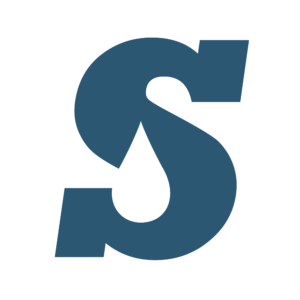 Sweatlife Films specializes in video production and video marketing for the health and fitness industry. We create and film fitness workouts, social media promos and all the video marketing assets you need to promote your services, events and products. Pure Energy is Europe’s largest fitness music provider, supplying all aspects of the industry with innovative music solutions. Founded in 1992, Pure Energy pioneered the first legal fitness music service, ensuring that Exercise To Music instructors across the UK were using high quality, fully licensed original artist music for the first time. Our groundbreaking music service is still providing thousands of instructors with monthly releases on both CD and download covering all fitness disciplines and music styles, as well as producing bespoke, commissioned music mixes. Working alongside Pure Energy is a team of fitness professionals whose input into the production process to make sure that every release is crafted to perfection. Pure Energy also offers a range of PPL-free and 100% licence-free releases along with exclusive discounts to EMD UK members! We as a firm recognise the various reasons people go into business and frame our service offering around the needs of our clients. Time – we never seem to have enough of it even though we all have the same amount in a working day. Information – we either don’t have it, have too much of it or simply don’t know what to do with it. Money – we don’t have enough of it. Having recognised these issues we have some of the must cutting edge technology to help people overcome these at very affordable prices. We even have a digital-only software package for clients that will actually delay you needing to engage an accountant on a full-time basis until you’re ready and can afford to do so. It costs nothing for an initial chat with us so why not get in touch today as we know people like dealing with people and we like to challenge the stereotypical accountant that people often expect to encounter when the word is even mentioned. Let us prove it to you.